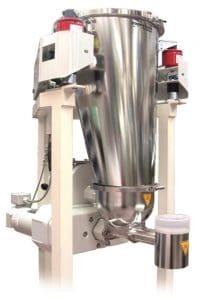 SEWELL, NJ - The K2-ML-T35 Twin Screw Gravimetric Feeder is ideal for floodable powders, fine granulates and more difficult, sticky or hard-to-flow products as well as some fibers, flakes and other bulk materials. 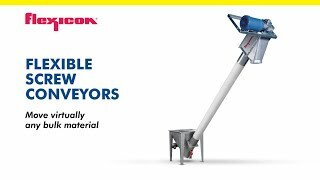 The K2-ML-T35 feeder has interchangeable feeding tools and is suspended in a three-point weighing system, featuring the Coperion K-Tron highly accurate patented SFT load cells. 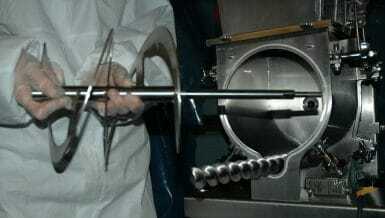 All parts of the feeder in contact with the material being fed are stainless steel. The feeder is easy to disassemble and the feed screws are easily interchangeable. The K2-ML-T35 feeder comes with a Coperion K-Tron SmartConnex® control system, which allows individual or multi-component control. 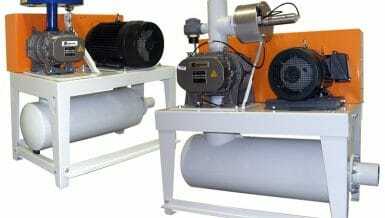 Rate range (depending on material) is 1.25 to 2,500 dm3/hr (0.04 to 88 ft3/hr). The versatile T35 is available in other configurations including volumetric and gravimetric on a D5 scale.